DeWalt’s parent company Stanley Black & Decker acquired Irwin and Lenox last year, and now their accessory lines are being marketed side-by-side in a good, better, best platform with Lenox at the top and DeWalt in the middle. As such, advancements like curved and carbide-tipped recip saw blades are being released in the Lenox brand. 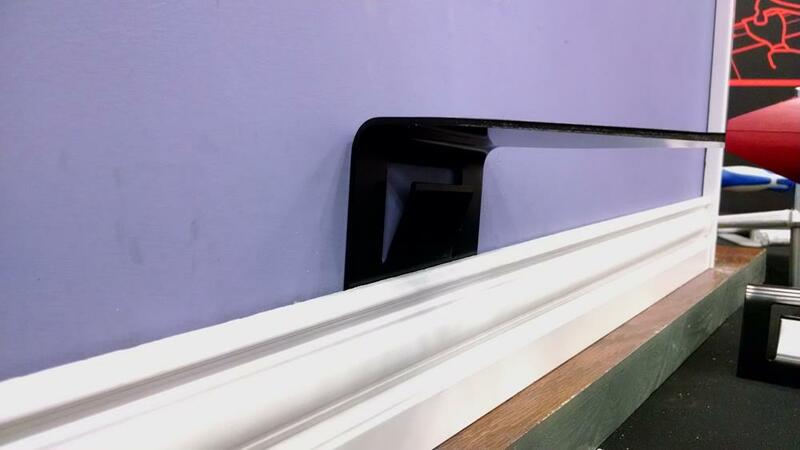 There are a lot of tools you can use to pry base and case off a wall, but if you’re looking to avoid damaging the wall and the trim, this might be the best one. Home Fixated reviewed the Trim Puller last year and we found it useful. 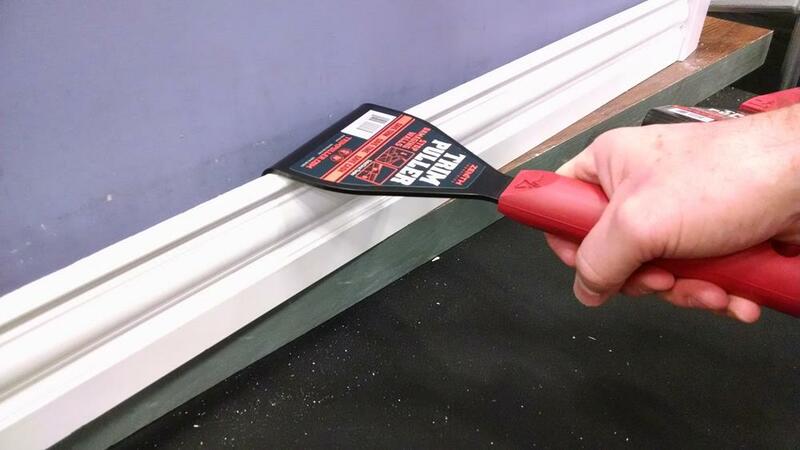 Wider and thinner than pry bars and stiffer and stronger than putty knives, this tool is custom made for getting a lot of surface area behind the molding. Tap the business end of the Trim Puller down to start the prying action behind the trim. With the Trim Puller behind the trim, twist the handle to the side to pry it off. If you’re not putting taller trim back on, I’d protect the drywall with a shim behind the edge of the tool. As an antique tool collector and user, it’s refreshing to find a company that still makes hand tools that were obsoleted from other manufacturer’s product lines decades ago. As keen as I am on old tools, there were still a few head-scratchers for me at the C.S. Osborne booth. As a maker of specialty items for industry in the U.S. since 1826, the tools they offer represent a wide range of repair and craft fields. Their leatherworking tools are probably what they’re best known for now, but upholstery, sail making and mending, poured metal machinery bearings, longshoreman’s handling hooks and more are all disciplines represented in their eclectic catalog. 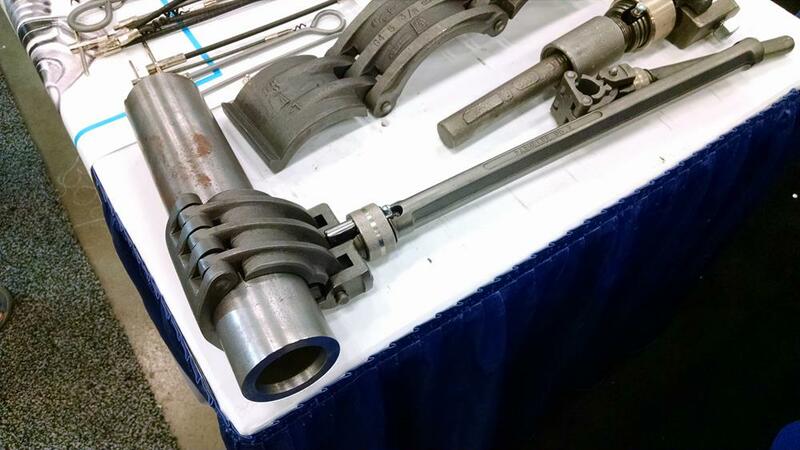 I was fascinated by many of the tools in their booth and had to pick up and examine many of them. 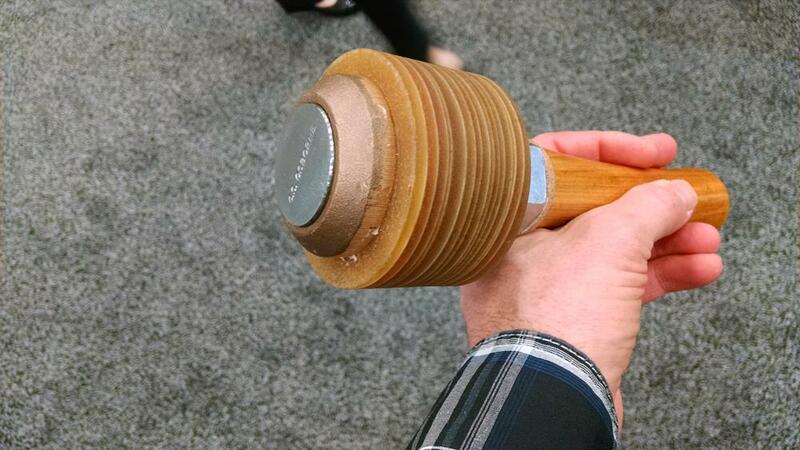 One of the most interesting niche tools in attendance was a bronze and rawhide maul, shaped and weighted like a carver’s mallet. But not just any rawhide – water buffalo hide is preferred for its special self-lubricating properties. In fact, speaking of niche, the company makes custom water buffalo rawhide gears used to drive historic carousels and the like. Non-rebounding mallet with a bronze and water buffalo rawhide head. Another one of the company’s unique product lines is the Parmelee Wrench that grips pipe like the fingers of your hand instead of biting into the metal like the teeth on a common pipe wrench. I have never seen these wrenches in a plumber’s tool kit however; they are more at home in oilfields and refineries. But a nice design is a nice design. 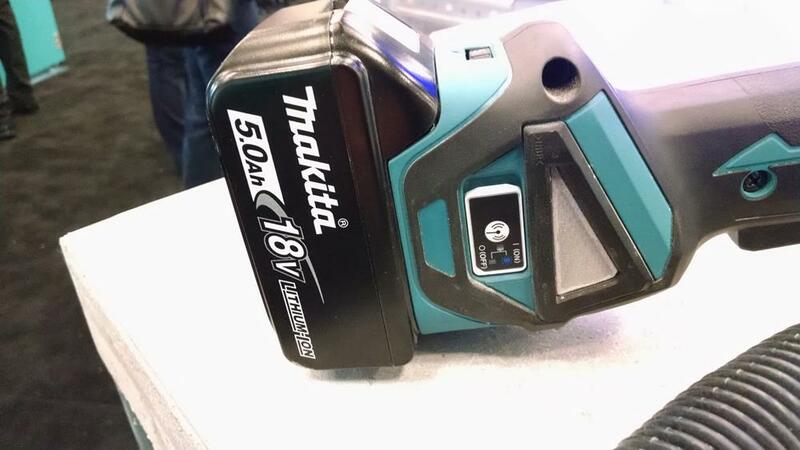 In this, my third encounter with Makita this year, I am still seeing new tools for the third time. 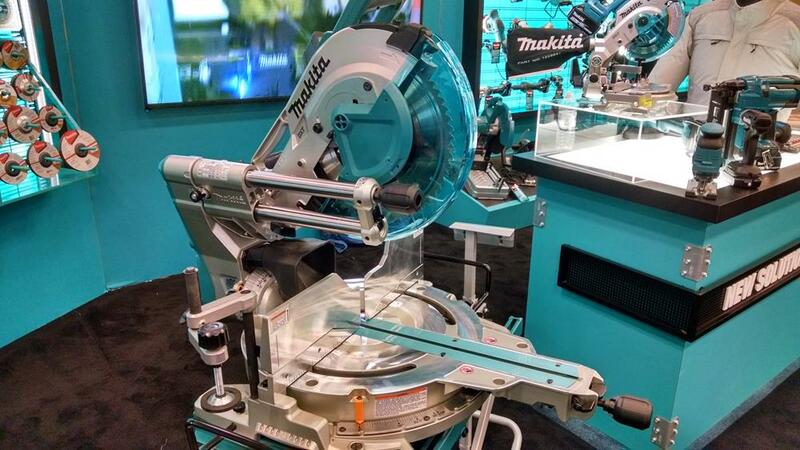 The new flagship 12-inch sliding miter saw was shown which is similar in design to the 10-inch saw out a few months prior. 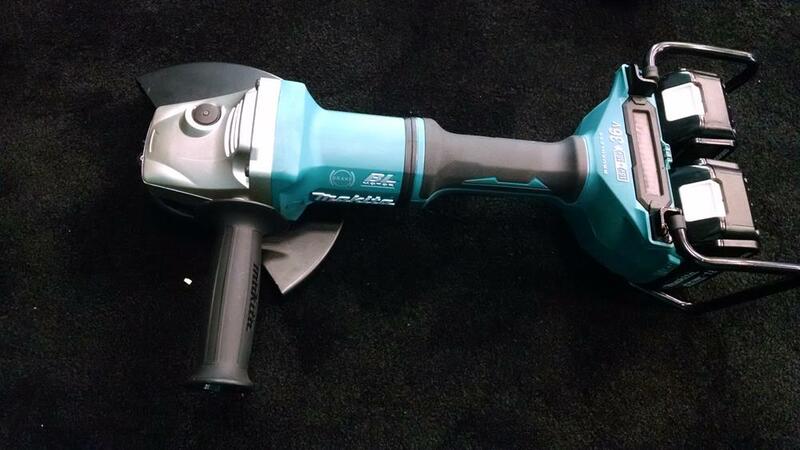 In their growing dual-battery, 36-volt cordless line, the brand is releasing 7 and 9-inch angle grinders. The battery packs are contained in a unique cage at the tail end of the tools. Keep your eye on Home Fixated for an upcoming review. Other cordless highlights include a new 16-gauge trim nailer, barrel-grip jig saw, and a tiny miter saw with a 6 1/2-inch blade. This little “flooring” saw has a crosscut capacity a little bigger than a 2×4 so it’s for small jobs only. But what a joy to carry around a sub-15-pound miter saw you could easily curl for exercise during your lunch break. 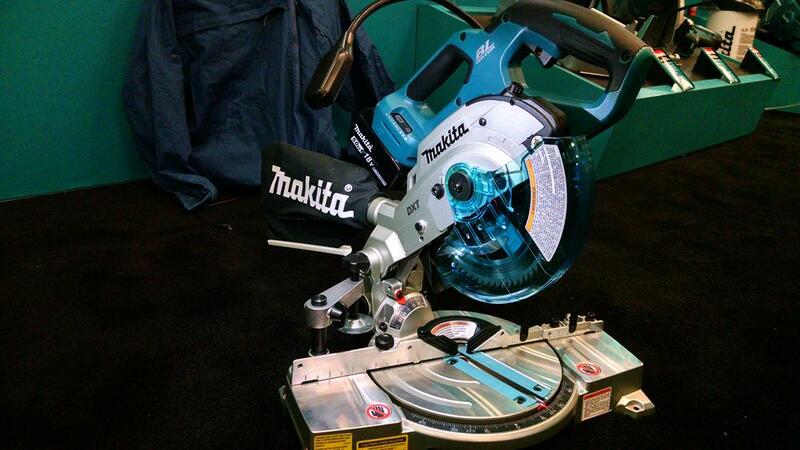 The smallest, lightest miter saw available? 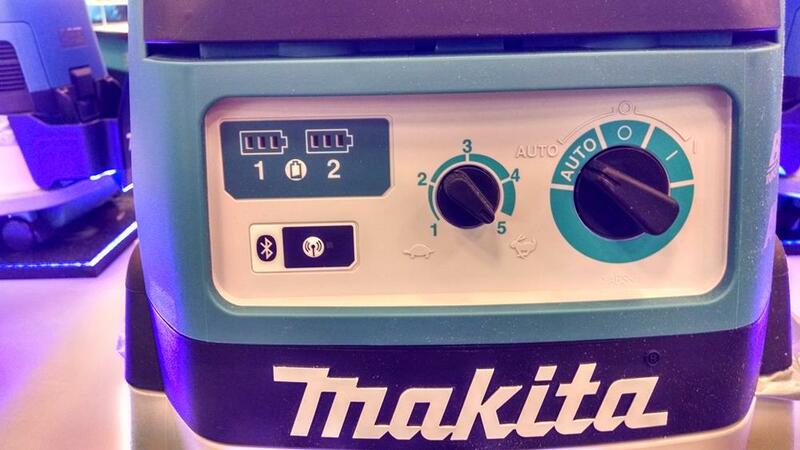 The “Coolest Tech of the Show” Award goes to Makita’s Auto-start Wireless System (AWS). 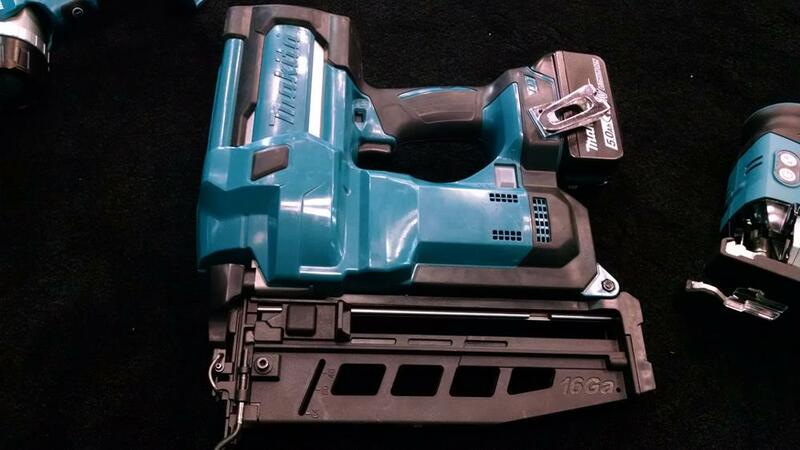 A little sending unit inside select cordless tools links with a compatible vac to turn on the vac along with the tool. For now, only the brand’s compact dust-collection vac is being shown with the technology but it’s sure to expand. My prediction: retrofit sending units will come out to allow existing tools to connect to an AWS vac. However, that doesn’t help sell new tools, so maybe not. Other interesting tools occupying my “ran-out-of-space file” include the Velvicut and Wood-Craft premium US-made axe lines from Council Tool, the self-releasing chalk line of CE Tools, and the OSHA compliant, Bluetooth-linked hearing protection ear buds from ISOtunes.